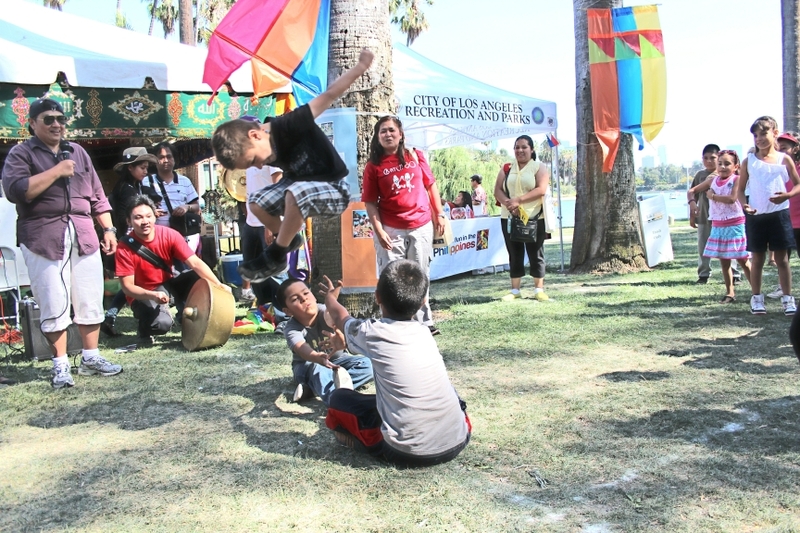 The yearly event was conceived some 42 years ago under the direction of the Los Angeles’ Department of Recreation and Parks together with the Council of Oriental Organizations to promote cultural exchanges among Asian and Pacific Islander communities. 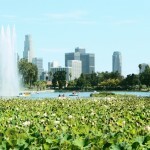 Since then the beautiful man-made lake in Echo Park near what now is Historic Filipinotown has become the almost yearly gathering place of huge crowds to give tribute to the colorful aquatic blossoms said to be native to Southern Asia and Australia. A water fountain creates majestic rainbows in the sun and the park itself is set in the shadow of LA’s high-rise buildings, surrounded by a green lawn and tall palm trees that sway with the breeze. Ducks frolic in the water and a Japanese bridge connects to a mound in the northeast part of the lake. 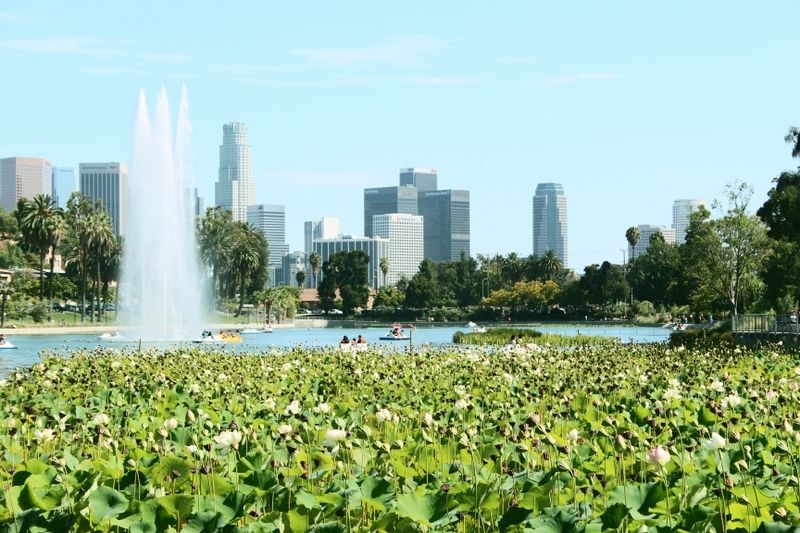 The lotus plant, an apt symbol of the many Asian communities in Los Angeles, has the habit of coming out in full blossom in the summer heat of July. But mother nature is not infallible. There had been times, such as in 2006, when even the plant’s DNA could not come out with its display of colorful flowers. Initially it was blamed on cooler weather that pervaded then but in the following years the vigorous sprouts of the late 1990s and earlier had shown a downturn. 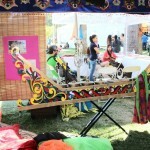 In 2013 the Lotus Festival was again in a hiatus for the second consecutive year as a result of an upgrade of its traditional venue, the Echo Park Lake. True adherents are not the kind easily daunted by occasional hitches and so movers behind the otherwise yearly festival came up with a new generation of the plants — some 378 of them — anchored on the mud bottom in the northwest corner of the lake where they had always been. 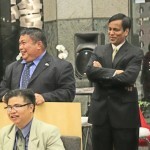 They will definitely blossom in time for the next celebrations, said Leo Pandac of the organizing group (it has since become the non-profit LA Lotus Festival, Inc.) one evening in November, last year, during a cocktail reception at the Two California Plaza in Grand Avenue to kick-off the 2014 Lotus Festival. And so most of the flowers came out in splendor atop giant foliages to greet the sunshine in time for the 34th Lotus Festival of Los Angeles. 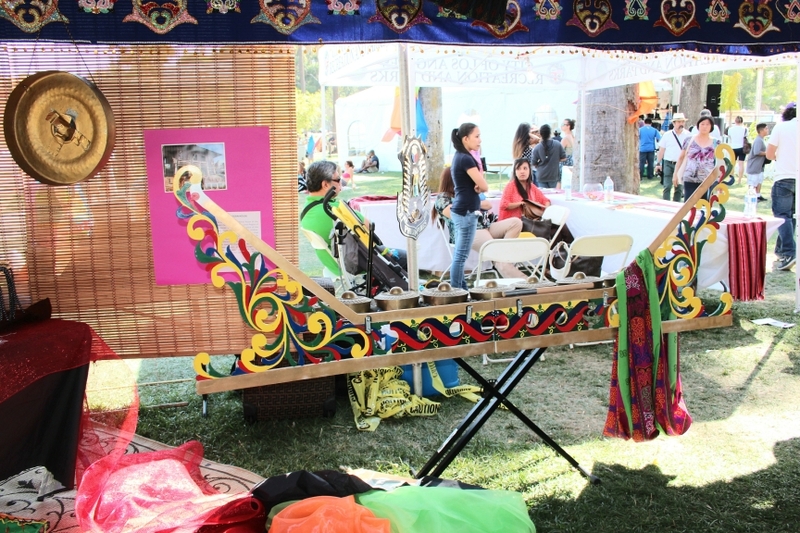 Thousands of Angelenos and out-of-town visitors were treated to the usual cultural extravaganza of artifacts and ethnic dances and music and food and games. 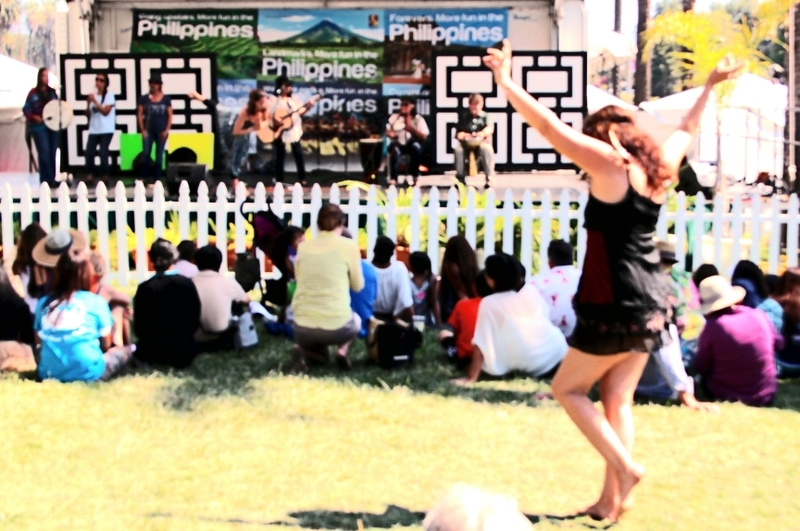 To the Filipino community it was doubly significant because the Philippines took its turn as the featured country during the two-day festivities. 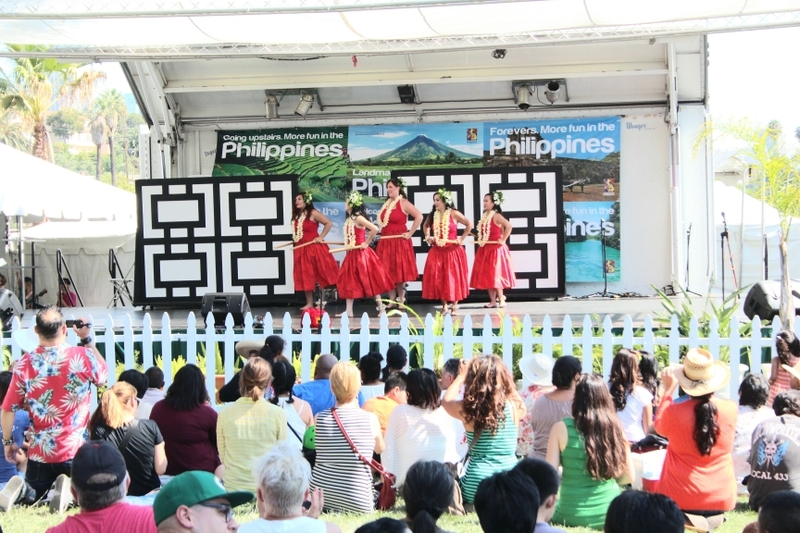 New Consul General Leo Herrera-Lim had his first taste of the festivities as he delivered the welcome remarks in the opening ceremony and thanked city officials, partners, sponsors and volunteers for their support in ensuring the success of the Philippine hosting of the opening day program. KICK-OFF Leo Pandac, second from left, standing , of the LA Lotus Festival, Inc. assures during a kick-off reception in November 2013 that the trees and green and the blossoms will be there in addition to the cultural extravaganza, food and performances when the next lotus fest comes around. SPUR-OF-THE-MOMENT A member of the audience trips the light fantastic in accord with the band playing in the stage. 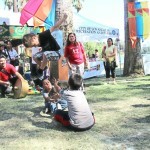 NON-COMPUTERIZED Children indulge in a game that brings memories of childhood days when PCs and laptops were not in vogue. MUSLIM ANCESTRY Artifacts in some booths betray the diversity of our culture. 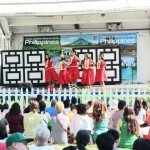 A Pacific Islander contingent dances the hula against a backdrop of Philippine scenes.